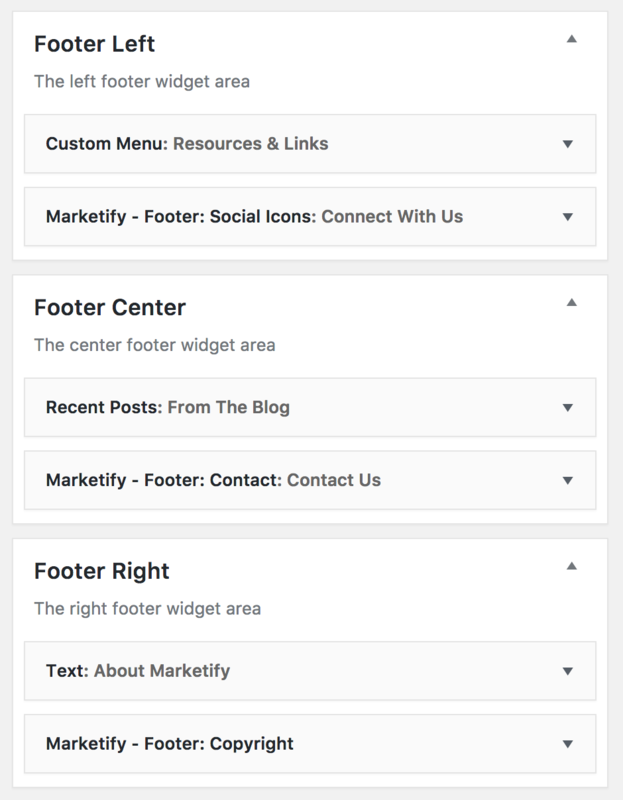 Marketify 2.12.0 and beyond has converted the footer area of the theme to use widgets to manage all sections. Previously only the top three sections had dynamic widget areas which presented issues if you were not happy with the chosen layout of the bottom row of items. Three new unique footer widgets have been created that will automatically use your previous settings (previously managed in the Customizer). However, if they are not present simply drag them to the footer widget areas. Please contact our Support Portal for any further assistance.